and other items for use with an American Girl or 18″ Doll. Here is a fun clothing upcycle. 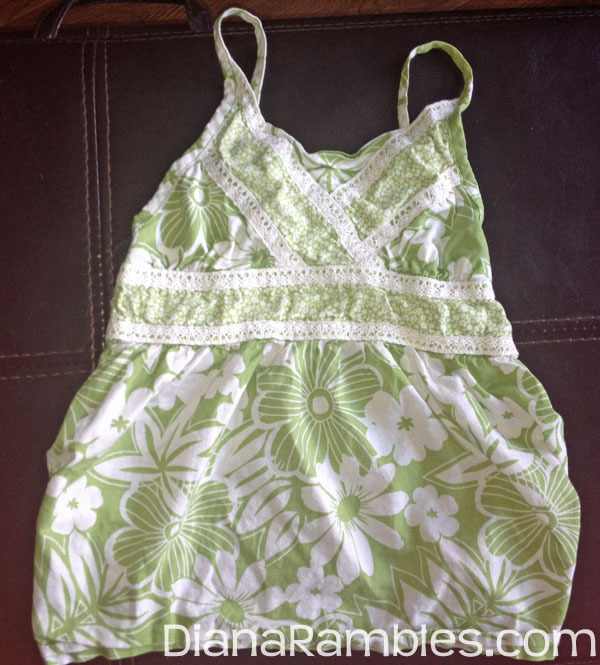 I started out with this summery top sized 4T. I cut down the side seams and came up with these 2 pieces. 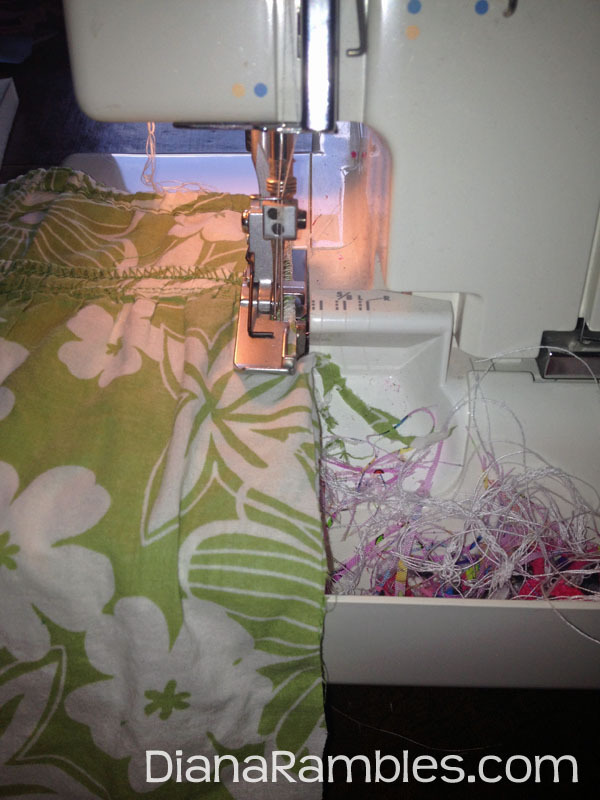 Then I surged the seam closed on each. I cut away some of the fabric on the front piece to create this sundress. Very unique. I added a white ribbon to the other dress. This was a fun & easy upcycled project. 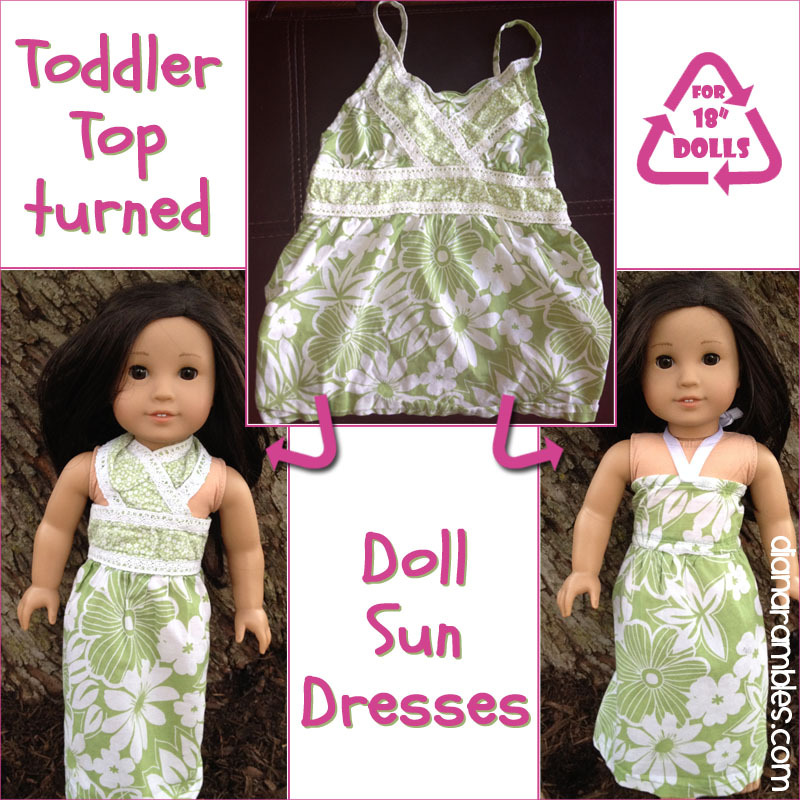 Have you done anything like this for your dolls? 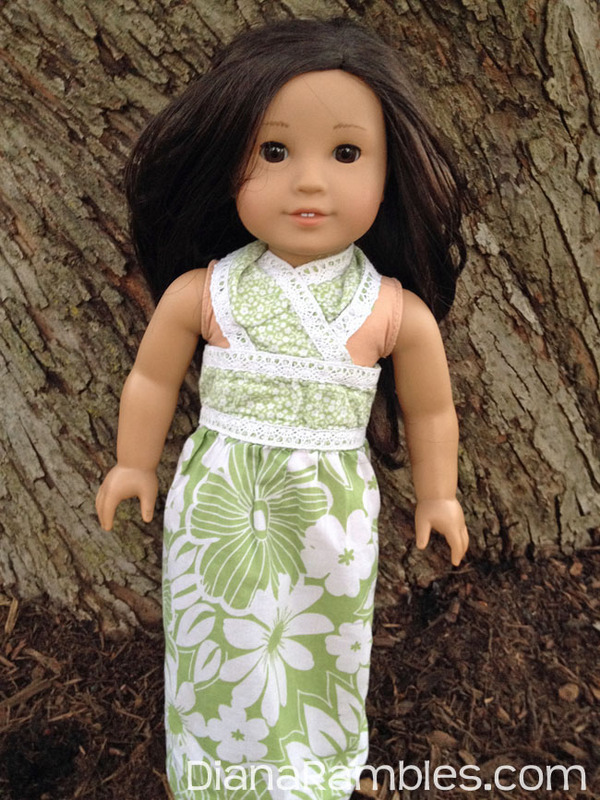 Doll fans should check my current giveaways to see if I have any thing for American Girl Dolls to giveaway. Next big giveaway starts January 22. So cute! I've put it everywhere, it looks so easy that I know everyone will want to try:) soon, I'll dig through my refashion pile and give it a go!! Amy was right, this is very cute & it looks like it should have taken hours to make. I love recycling projects. You & Amy crack me up. It was sooooo easy! Super quick. Took me longer to get photos & write the post. This is very cute, Diana! Pinning and sharing! :) I'm sure my girls would love for me to do a little more outfit making around here!